Alice Parmelee Rich has been involved in the art field, and in art related businesses, most of her life. Her career has included photographer, gallery administrator, publisher, and educator. Since the millennium she has followed her true passion and dedicates time and attention to being a visual artist, finding creative expression through painting. After receiving a BA in Fine Arts from the University of British Columbia, majoring in History of Art, she joined the staff of the Vancouver Art Gallery as an Extension and Education officer. In this capacity she traveled throughout the Province of BC installing art exhibitions and lecturing to communities about art. She studied photography informally for several years and also while she attended Emily Carr University of Art and Design, later graduating from the ECUAD Curatorial program. Rich founded her photographic greeting card company, Parmelee Publications Ltd., while acting as Assistant Director/Curator for the Contemporary Art Gallery in Vancouver. She soon decided to devote herself full time to the business. Acting as publisher, sales manager, art director and photographer, she grew the company to serve markets across Canada, the US, and Europe, publishing the works of many other artists as well as her own. An active supporter of the Arts community, she is a member of the Vancouver Art Gallery and VAG Associates, Contemporary Art Gallery, CARFAC – Canadian Artists’ Representation, Alumni Association of ECUAD, Federation of Canadian Artists, and Gabriola Arts Council. Rich has also served on the Board of Directors of Presentation House Gallery in North Vancouver, and chaired its Fundraising Committee for several years. Prior to becoming the owner of Studio 13 Fine Art, Rich exhibited and sold her work in galleries throughout British Columbia. 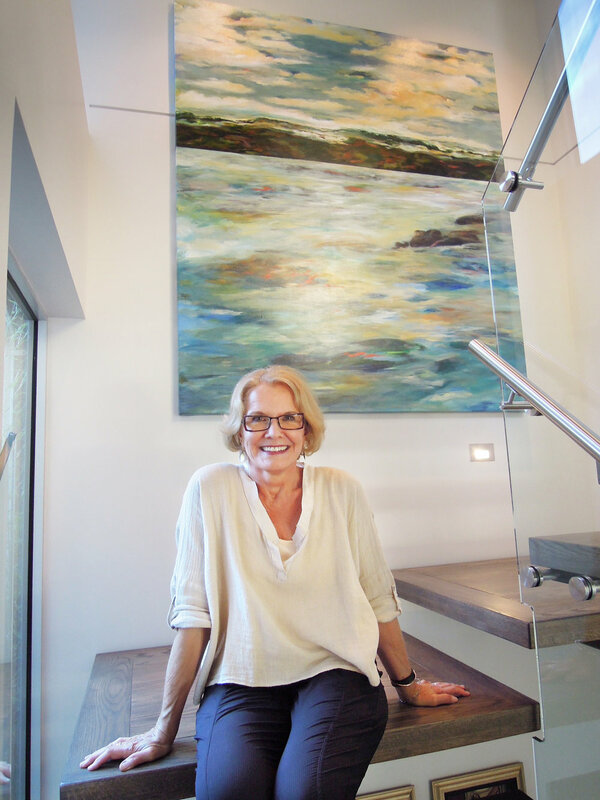 Her paintings are included in numerous private and public collections throughout North America and Europe, including St. Paul's Hospital, Export Development Canada, the VGH & UBC Hospital Foundation, Nita Lake Lodge in Whistler, BC, and the Office of the Premier during the 2010 Olympic Winter Games in Vancouver. She also has a number of pieces in the Vancouver Art Gallery's sales and rental program.